In this Peavey ValveKing II review, we examine whether this unit is worth your money. The switchable power switch gives you a variety of outputs and more control of the resulting volume, tone, and overall sound. 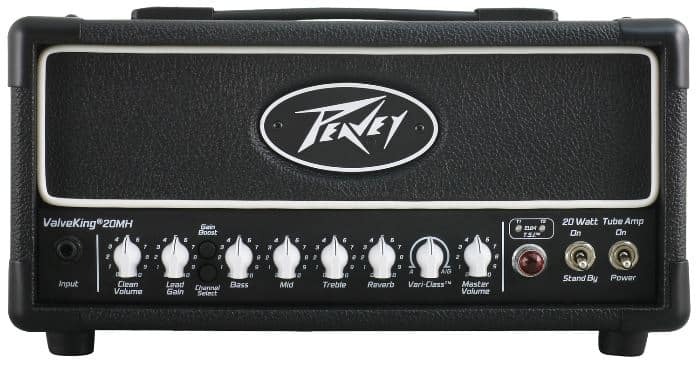 Peavey is known to be the king of lunchbox sized amps. Weighing only 14 pounds, this amp is super portable. You can take it with you anytime/anywhere without much difficulty. Expect that this unit has excellent connectivity as long as you have a devise that supports a USB port. You can connect this unit to your favorite mixer or DAW. ValveKing II Review: Is This Worth It? Easy to use. This all-tube circuitry has all the controls that you need to deliver a rich tube warmth and produce excellent sounds. Simply connect to the power output of your choice and tinker with the control knobs. The knobs are not confusing to use. Excellent sound. Consumers agree that the ValveKing II produces excellent sound. They are clean and defined. Also, this is perfect for stage venues. Easy to carry. Another strength of this amp is its portability. Musicians are eager to take gigs out of town with the ValveKing II because it is not only compact, but it is also lightweight. Plus, storage will never be an issue. The amp is equipped with a footswitch input, but doesn’t come with a footswitch. You have to pay extra for one. Boo! 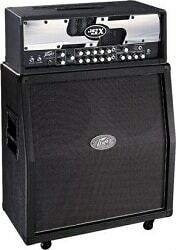 Where can you find the Peavey Valveking II 112 Extension Cab to buy? I can find the Vypyr 112 Extension Cab at chain retailers, but not the Valveking II cab. Double Boo! Should you buy this amp? Other consumers who tried and tested this unit have given it a high rating and positive feedback. If this is any indication, then the Peavey ValveKing II is one quality product that you should consider. It has all the bells and whistles. If you want a clean and excellent sound, this unit is fully equipped will the parts you need. Aside from that, it is easy to use, it’s portable, and best of all: it produces excellent sound!